Sophsterlicious • UK Blog: The Fragrance Shop Discovery Box. If you love trying out new fragrances, you'll love this nifty little idea from The Fragrance Shop. It's the same idea as with beauty boxes, but this is a Discovery Box* that comes with five vial samples of perfumes for you to try out. 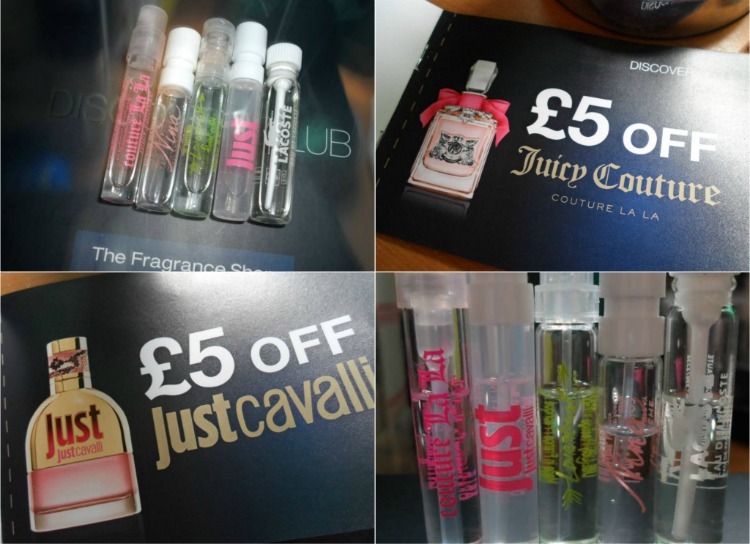 It's just £5 per quarter and also includes a booklet with money off vouchers if you should want to purchase any one of the fragrances in a full size. I think this is a great idea for those that love perfume and treat themselves to them every so often, the money off vouchers and the chance to try some different perfumes make this worth the small £5 (with a £2.95 delivery fee). I really loved all of the perfumes that I got inside of my box and I love having the little samples to pop into my bag when I'm out and about. What do you think of this cool idea? Do you buy new perfumes regularly and do you have a favourite scent?